Having tattoos isn’t a barrier to joining the Army. 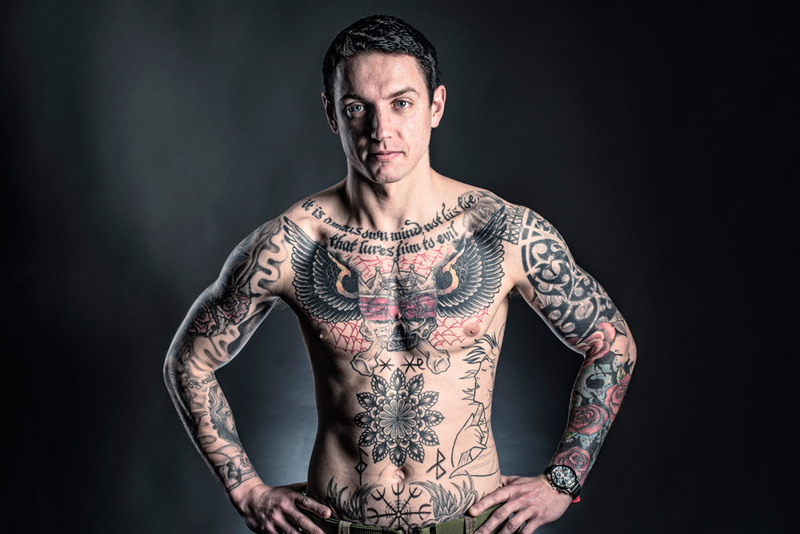 Parachute Regiment reservist Private Adam Frame explains his body art. “On my stomach is a mandala,” Private Frame says. “It’s a shape that Buddhists make out of sand, as a form of meditation. “I really admire the practice of meditation through drawing. I love the fact that this tattoo is central to me both physically and psychologically. “I was raised on Army camps and it was my dad who encouraged me to get my first tattoo. Service personnel have always used tattoos to express themselves.